Brian McKnight Hearts NPR : NPR Extra R&B musician Brian McKnight came by to talk to Tell Me More host Michel Martin about his evolving songwriting process and his feeling that he's made too many albums. R&B musician Brian McKnight says even though he's been around awhile, he's not yet old enough to be a legend, despite his 16 Grammy Awards and multi-platinum album sales. And though it's been 21 years since his first album came out, his latest work, More Than Words, is precisely what brought McKnight into our studios to talk with Tell Me More host Michel Martin about his career and songwriting. During the interview, McKnight tells Martin that even when he stops making albums he'll never stop writing songs. McKnight's success may be due, in part, to his own admission that he's stopped worrying about perfection when recording, or what will get played on the radio, and just lets the music come out of him. That music, he thinks, sounds like his earliest albums, back when he was still figuring out how to be a successful R&B singer. Judge for yourself, has he gone back to his roots? During this interview, you can hear the album's title track and a song inspired by his five-year-old daughter. McKnight is probably used to being swarmed by female fans, but when he came to NPR West, it was the men in the office who wanted to talk to him...about the sports car he drove to the interview. 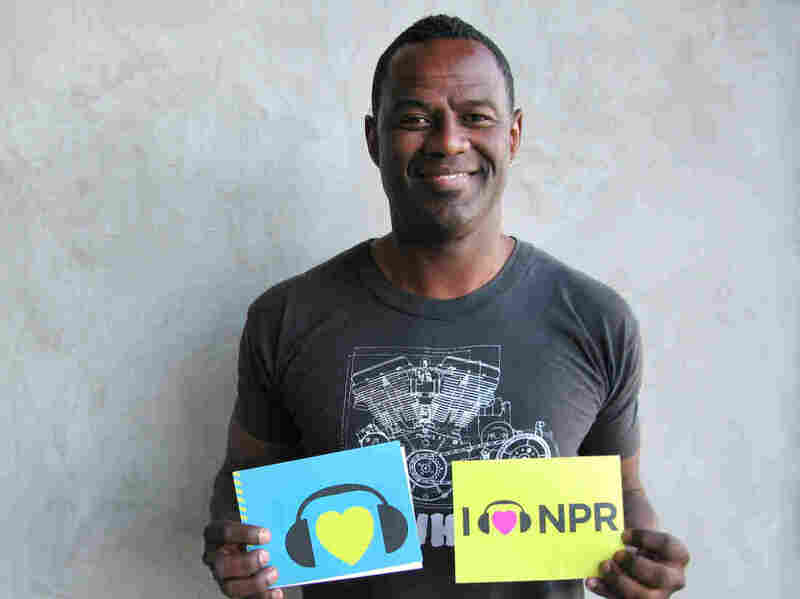 In between fending off the resident gear-heads, McKnight paused to flash a smile and show his love for NPR.